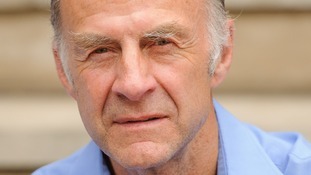 Adventurer Sir Ranulph Fiennes has told Daybreak that it took four years to get a permit to go to the Antarctic in the winter. "So if you need rescue you just don't get rescued." The name of the expedition is called 'The Coldest Journey'. The expedition will begin on 21 March 2013 at the winter equinox. It will take six months in total - crossing Antarctica to reach the Ross Sea and has taken 5 years to plan. Fiennes is aiming to travel 2,000 miles across the continent over six months, mostly in complete darkness and in temperatures approaching -90C. The SA Agulhas will take on board technical equipment and supplies including two 20-tonne tractors, two cabooses, scientific equipment, fuel sleds, specially heated clothing and Antarctic cold weather gear, and a variety of food supplies. The veteran explorer Sir Ranulph Fiennes is to set off on his coldest challenge yet today - a journey across the heart of Antarctica during the winter. His expedition ship - the SA Agulhas - will receive a Royal send off from the Prince of Wales before it departs later today. Over a six month period, the team will travel 2,000 miles across the ice, mostly in complete darkness and in temperatures close to -90°C. Sir Ranulph Fiennes has already visited the North and South Pole but now he plans to go one step further, by being the first person to reach the South Pole during Winter. At the age of 68 he will have to walk across the whole of the antarctic in round the clock darkness and temperatures of -70 centigrade. Our Science Editor, Lawrence McGinty reports on the explorer, hoping for another entry in the history books. The British explorer will travel across Antarctica during the southern winter, where temperatures can plummet to -90C. 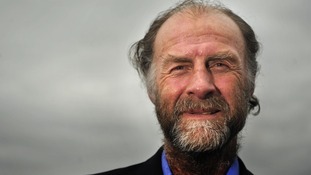 Adventurer Sir Ranulph Fiennes will today announce plans for a six month expedition across Antarctica during the southern winter - where temperatures plummet to -90C. The 68-year-old British explorer will lead a team across the terrain next year in a challenge which is being called the Coldest Journey. Sir Ranulph's team will travel by ship to the Pacific coast of the continent before starting the journey on the equinox on March 21, 2013. The adventurer's previous challenges include climbing Mount Everest and travelling from pole to pole.